This weekend, my man and I had the surprising opportunity to have one of the best, if not the best, Caribbean meal we’ve ever had. We were on our way out of the city for the weekend and decided to stop over in Guelph, Ontario for lunch. We had mad cravings for Caribbean doubles, and so, I decided to run a quick online search for a good Caribbean restaurant in the area. 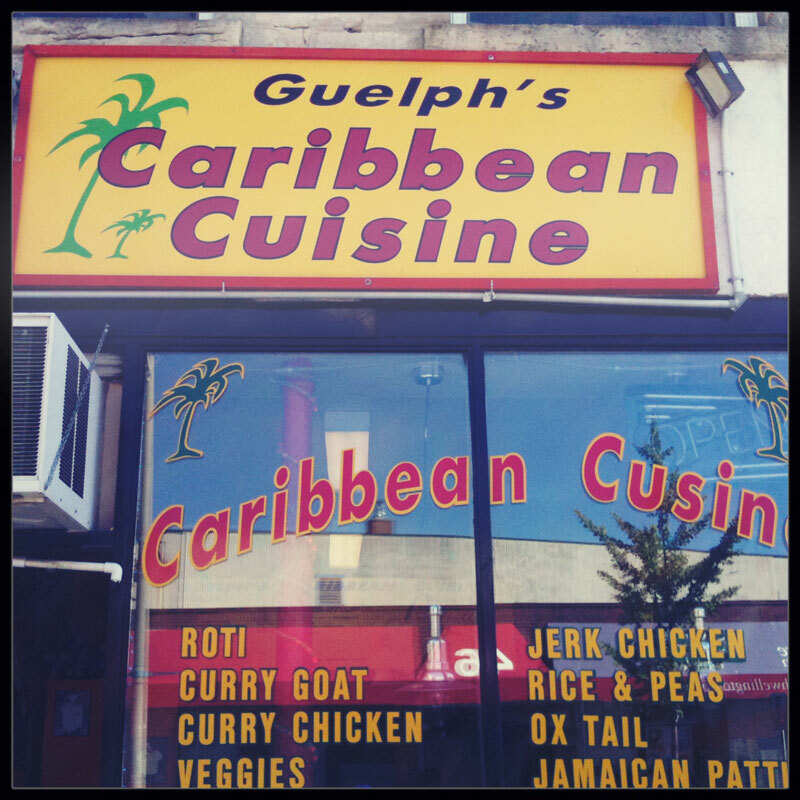 The first option that came up was “Guelph’s Caribbean Cuisine”, a small local restaurant in the heart of Guelph that had great ratings on TripAdvisor. The fabulous voice on the other end of my follow-up call confirmed that although they normally weren’t open on weekends, the jazz festival going on in the city meant that they would be open that afternoon. What luck! We and our rumbling bellies arrived less than an hour later to a hearty welcome by the owners. After scouring the menu board, we both decided on a roti each, and for me (after a frantic search for my double until my fiancé kindly pointed it out: “double ——– $1.95”), I ordered one of those too.